No 1983 Corvettes were sold. Quality and production problems had delayed introduction of the new C4 generation so 1983 was passed over. 44 1983 cars were assembled. Some were used to sort out production details while others were assigned to engineering evaluation and crash testing. A few were part of a press introduction at Riverside Raceway in California, December 1982. 43 of the 44 1983 C4 Corvettes were destroyed. 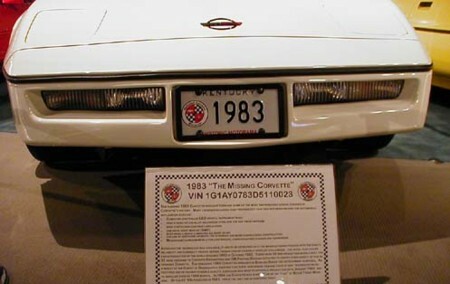 The one remaining car, number 23 (white), was retired to the National Corvette Museum in Bowling Green KY where it is now on display. It is still owned by GM. The C4 replacement was scheduled to be introduced in September 1983. The new design was a complete and complicated update that incorporated much new technology. Unfortunately the design team was unable to get everything ready and even though there was a desire to celebrate the 30th anniversary of the Corvette with a 1983 model, they could not make it happen. The C4 was able to meet the various 1984 safety and anti-smog regulations, so it became the first car available to do so when production started on January 3, 1983. 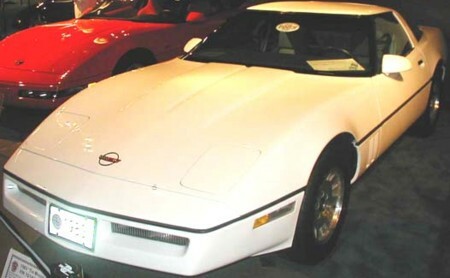 The first 1984 C4 Corvettes were delivered to customers in March 1983.